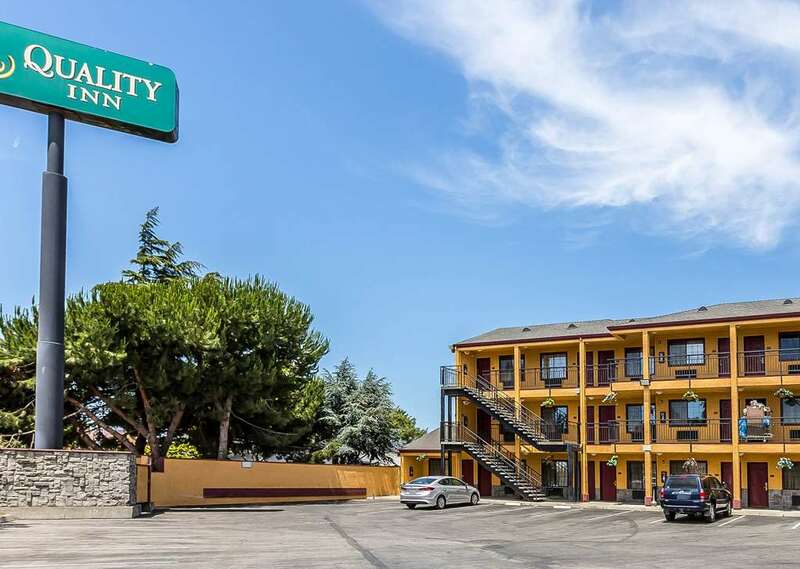 Get more value for your hard-earned money at the Quality Inn hotel in Salinas, CA, which lets you relax and focus on the people and experiences that you came for. We give our valued guests easy access to such nearby points of interest as Salinas Municipal Airport, CA Rodeo Salinas, CA International Airshow, National Steinbeck Center, Monterey Bay Aquarium and Mazda Raceway Laguna Seca. Enjoy such great amenities as free WiFi, free ample parking, free hot breakfast, free coffee, copy and fax services. Cozy guest rooms feature a refrigerator, microwave, coffee maker, hair dryer, premium bedding, iron and ironing board. Also, earn rewards including free nights and gift cards with our Choice Privileges Rewards program.